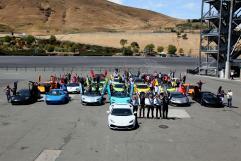 Year after year, brand enthusiasts from across North America come together for the annual Lamborghini Giro event to immerse themselves in the world of everything Lamborghini! Like-minded owners celebrate the Lamborghini lifestyle through dynamic driving, luxurious accommodations, one-of-a-kind experiences and intimate interaction with Lamborghini executives. Each year, a new program is designed to capture the essence of Lamborghini and help create friendships that last a lifetime. It’s more than just the sensational driving that keeps people coming back to Giro – it’s reuniting with old friends, exploring new parts of the world and enjoying fine food and wine in spectacular surroundings that keeps them looking forward to this spectacular experience. 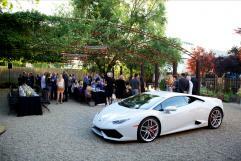 This year, we visited the charming town of Healdsburg, California for a four-night programme. 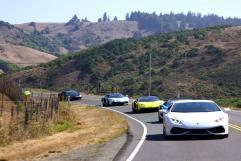 Over 25 Lamborghini owners traveled through the awe-inspiring region of Northern California, enjoying some of the best cuisine, roads and scenery the area has to offer, not to mention some of the world-class wines too! 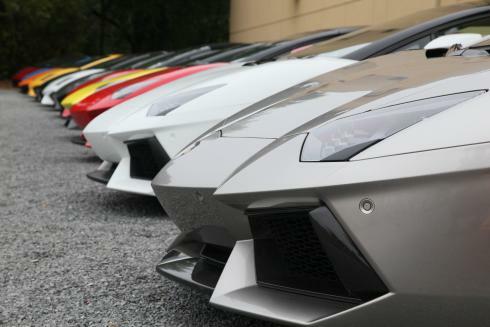 Centigrade planned the entire Lamborghini Giro programme and managed all event logistics including selecting challenging drive routes, travel coordination and accommodations, dining venue selections, hospitality, vendor management, guest registration website and on-site staffing. Centigrade also developed and produced the event collateral including customised itineraries, drive route books, on-site signage, luggage tags and more!